Child Protection: Leading up to the start of the legislative session, a number of high-profile tragedies had exposed critical problems at Child Protective Services, which was plagued by high turnover among employees entrusted to protect children from abuse. Annual caseworker turnover hovered around 33 percent. In order to bring stability to the CPS workforce, the Legislature passed a pair of funding bills adding more than 1,400 new caseworkers. The Legislature also made a number of other reforms to CPS and foster care, such as providing additional support for relatives who take in children who’ve been removed from their homes and increasing foster care provider rates. Mental Health: Speaker Straus has made mental health a top priority since 2015, when he created the House Select Committee on Mental Health. This year, the Legislature approved a number of reforms recommended by that committee and directed key resources toward renovating state mental health facilities, reducing waiting lists for services and establishing matching grants to support community initiatives. The Legislature also provided resources for a new jail-diversion grant program and approved the Sandra Bland Act, which will improve treatment for mental health conditions and substance abuse in county jails. 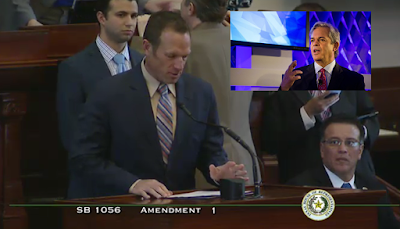 “This was a banner year for improving mental health care in Texas,” Speaker Straus said. Education: The Legislature reformed the A-F school rating system to ensure that schools are evaluated more fairly and accurately. The Legislature also approved “David’s Law” in order to reduce cyberbullying. The House led the way in addressing a sizable shortfall in TRS-Care, the health care program for retired teachers, so that former educators will not face huge increases in their premiums and deductibles. The House also kept the state’s colleges and universities strong despite a sizable budget shortfall, and the Legislature passed two key bills to combat sexual assault on college campuses. Cybersecurity: The House made cybersecurity a top priority. 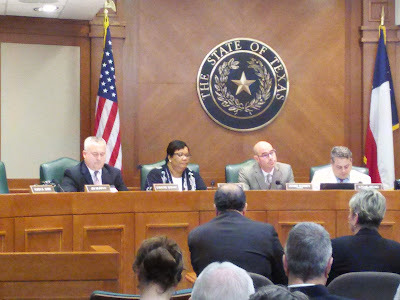 House Bill 8 will improve the protection of Texans’ private data in the hands of state agencies, while House Bill 9 gives prosecutors tools to fight cybercrimes. The state budget for the next two years provides more than $100 million in funding to address critical cybersecurity and IT needs across state agencies. Fiscal Discipline: The Legislature closed a budget shortfall and approved a budget that will keep state spending flat over the next two years, despite continued growth in the Texas population. The budget does not require higher taxes and it will leave about $11 billion in the state’s Rainy Day Fund by the end of the upcoming budget cycle. Here's the thing: With the (partial) exception of the CPS stuff, which probably had to get done this session, nothing on this list was a priority (Note: At least in the way it was presented in the House). As to these specific issues, here what we had to say about the House's school finance scheme and their alleged "fiscal responsibility" at the time; while we weren't able to cover it, we've also heard credible alarms raised about the 'mental health' stuff. Bottom Line: Some of these efforts might have been worthwhile, but at best they're a...strange...collection of issues over which to define success. Remember, last Friday, when we pointed out that Governor FoxNews' theatrics at a bill-signing ceremony were a publicity stunt designed to deflect from the legislature's failure to pass constitutional carry this past session?!? Even better: They're not expressing "concern" with the silly little fee reduction bill that was the subject of the Guvnah's melodramatic bill signing; in other words, that bill does so little that they're not even pretending to fight it. We were not on the Capitol grounds as most of the craziness occurred; we were at a separate event three blocks away and arrived about 45 minutes later. As we were milling through the crowd at their rally (Confession: we wanted to see if there was food), we heard multiple speakers on the South steps of the Capitol bragging about how they were busing in people from "Florida," "New Mexico," and "New York" along with other locations we don't recall. Looking North from the back of the Capitol parking garage, we saw buses lined up Trinity st as far as the eye could see. It's also worth mentioning that a lot of them were wearing red "Fight for 15" (ie. $15 minimum wage) shirts. Note: Fallon also has a Facebook video of the protests that prompted Rinaldi to call ICE as they repeatedly bragged about being in the country illegally. Unfortunately, due to formatting issues we can't embed that video on this website. Fallon's original video can be viewed here. To be fair, Romero disputes Rinaldi's account. Readers can learn more about Ramon Romero's relationship with the truth here. Learn more about Poncho Nevarez's relationship with the truth here. Here's the thing about this budget (that the bible verse quoted above makes clear): We've seen significantly worse villainy from the legislature, but the budget still makes us want to vomit. Put differently, it's a case where reasonable people can disagree. “HB 2 brings Texas to the edge of a historic accomplishment for the 2016-17 biennium, a Conservative Texas Budget when there are no significant funding restraints. Rather than appropriate all the money it had available, the 84th Texas Legislature kept appropriations increases under population growth plus inflation and returned much of the surplus money to taxpayers through a major tax cut. The 85th Texas Legislature has continued this work by proposing spending in HB 2 under the Conservative Texas Budget targets. If the House approves HB 2 as passed by the Senate, the 2016-17 biennium will conclude with fiscal restraint not witnessed in Texas in many years. Considering that government spending must ultimately be paid for by taxes, passage of a Conservative Texas Budget helps keep taxes low—an environment our research demonstrates leads to more economic opportunities for Texans. The $217 billion Conference Committee report for the 2018–2019 biennium budget was distributed to the legislature at 10:00 PM last night (5/25/17). That’s a lot of money. People all over Texas worked very hard to make that money to send to the State. We are three days away from sine die for the 85th legislative session. House and Senate legislators have not yet reviewed the 970-page budget report. The people of Texas do not have the budget details. Yet, some officials are already trying to tell us what a great budget it is. It appears that the usual Great Budget Cram-down is about to take place, and frankly, this flies in the face of how Republican leaders define themselves. Taxpayers demand transparency, not budgets passed before anyone has a chance to know the details. We believe the people paying the freight deserve a little respect. The people’s elected representatives should know and understand what is contained in the budget. The people of Texas themselves should know what is in that budget. Ramming the budget for the State of Texas through only guarantees one thing – a bunch of surprises. The people of Texas deserve better. And therein lies the rub: the budget [Note: Just barely] comes in under the top line number we requested last summer, but it gets there through gimmicks and a secretive process that funds some pretty terrible things. The University of Texas at Austin, whose budget seemed to be on the chopping block a few weeks ago, instead would see a 3 percent increase in legislative appropriations under the two-year state spending plan approved by a House-Senate conference committee. Senate Bill 1, which the two chambers will consider this weekend, would provide a total of $835.6 million to the flagship campus for the 2018 and 2019 fiscal years. That’s about $25 million, or 3 percent, more than its current state funding. The budget agreed to by House and Senate negotiators includes $12 million for UT’s Dell Medical School, which would have received essentially nothing under the plan previously approved by the Senate. This budget does some pretty terrible things, but it's NOT a repeat of the 26% spending increase they pushed through two sessions ago. We don't think anything good will come from moving the goalposts at the last minute. Technically, they did what we asked for a year ago. Moving forward, as we seek to "begin a new conversation" on the budget, we think holding up our end of the current bargain helps our credibility. In terms of letter grades, we would give this budget a "D." It's a passing grade, but just barely. And we respect why others will disagree. Bottom Line: It could be worse...but it also could be a lot better. But Abbott’s quote, at the very least, showed a stunning lack of awareness. After all, Republican Greg Gianforte was charged with assault after allegedly body-slamming a Guardian reporter in Montana on Wednesday. He was elected to Congress the next day. 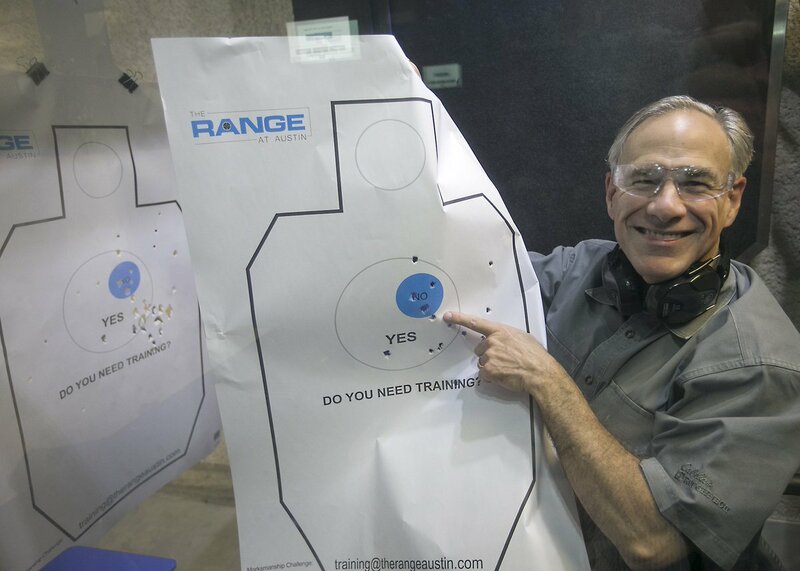 Republican governor @GregAbbott_TX of Texas – MY STATE – is joking about killing reporters. But, stepping back, did you realize what that bill ceremony failed to include?!? 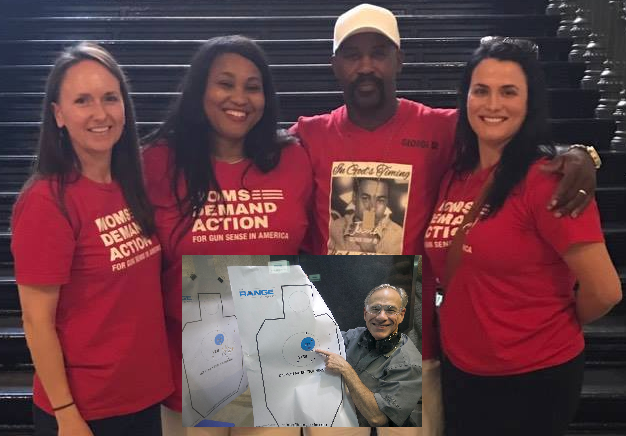 Constitutional Carry was left for dead two months ago and the "fee reduction" bill Abbott's signed this morning is not an acceptable substitute. But who cares about the second amendment when left-wingers on Twitter are taking political bait?!? This is correct: The budget isn't a done deal...yet. But we do have to say, that we're even "having this conversation" in the final few days of session is incredibly irritating. One caveat: This is not another 2013. For as much as we disagree with the allocation and gimmickry in this budget, it's not a 26% spending increase. We still expect the top line number to come in below the Conservative Texas Budget target announced last summer. "For you were hypocrites in your hearts when you sent me to the Lord your God, saying, ‘Pray for us to the Lord our God, and according to all that the Lord your God says, so declare to us and we will do it.’ "
With the clock ticking and an important deadline looming, House lawmakers passed a fix to the state’s voter ID bill with only a few hours to spare. Responding to a last-minute push by Gov. 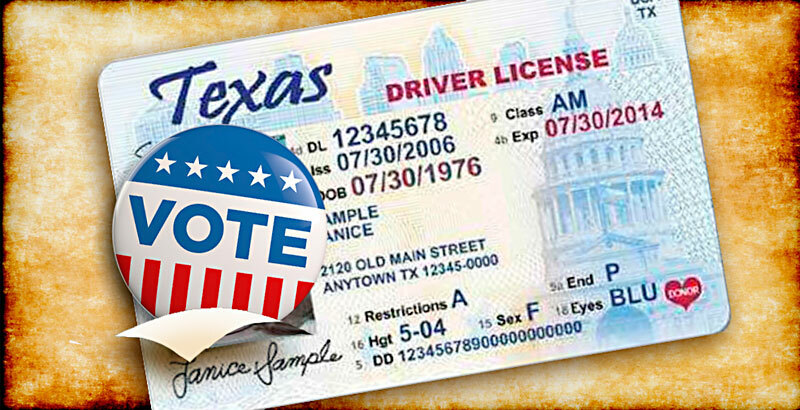 Greg Abbott, the Texas House moved yesterday to give preliminary approval to Senate Bill 5 by State Sen. Joan Huffman (R–Houston) – a measure designed to preserve Texas’ Voter ID law by amending the statute to incorporate a court order. Though the bill sailed through the Texas Senate in early March, it had long been obstructed in the Texas House. In short, SB 5 would implement much of the court-ordered changes to the state’s law which has been on the books (and in court rooms) since passing in 2011. Huffman’s legislation would allow registered voters who fail to produce a photo ID to cast a ballot after showing common documents that contain their name and address. But the House accepted an amendment authored by Rep. Joe Moody, D-El Paso, that would reduce the penalty to a Class A misdemeanor, which carries no more than a year of jail time. That was a win for Democrats and civil rights groups that had called the legislation a good start but want ID options beyond what was in the bill — student IDs or tribal IDs, for instance — and raised particular concerns over the Senate bill's stricter penalties. More than 16,400 Texas voters signed “reasonable impediment” affidavits during the 2016 general election, according to a tally of documents provided by the Texas Secretary of State’s office. And an Associated Press analysis found at least 500 instances in which voters signed the affidavit — and didn’t show photo ID — despite indicating that they owned one, a phenomenon some county clerks attributed to widespread confusion about legal changes just ahead of the election. That’s why some Republicans argued for strict penalties for false claims. Democrats called it it too harsh for the crime — particularly in cases where a Texan is otherwise casting a legal vote. We could write a piece ripping on Joe Straus for slow walking this bill, and Phil King for being a dingus and accepting that amendment. Both of those things are certainly true. But the real failures lie with Congress, and specifically with the Republican caucus of the Texas delegation. If the Republicans in Texas' congressional delegation were doing their job, Joe Straus would be irrelevant. There's a simple solution to this problem: Amend the (federal) Voting Rights Act to explicitly state that state level voter ID laws are ok.
Obviously, the only thing missing is political will, and no Texas Republican (Note: including Louie Gohmert and Ted Cruz) is stepping up to the plate. Bottom Line: It's bad enough that they're dropping the ball on national issues, but the failure of Texas' congressional delegation to protect the State from federal lawsuits (which enables additional shenanigans from Straus) is a whole separate outrage. #TXLEGE: City of Austin's session gets a little bit worse!!! Notwithstanding any other law, a municipality to which this chapter applies may not designate a district under this chapter if the municipality has adopted a requirement in any form, including through an ordinance or regulation or as a condition for granting a building permit, that establishes a maximum sales price for a privately produced housing unit or residential building lot. The restriction described by this subsection does not apply to property that is part of an urban land bank program. But the latest trend in socially conscious planning is so-called “inclusionary zoning,” which mandates some portion of new, market-priced housing developments be set aside for low-income persons who will be charged below-market rates. The idea is to make the rich subsidize housing for the poor. But this acts as a price ceiling on new units that actually discourages rather than encourages new construction. Currently, Austin does not engage in this practice. That being said, we've been hearing for months that Council was planning to push "IZ" forward as soon as the lege leaves town. Fortunately, Isaac's amendment pre-emptively prohibits going down this rabbit hole. The Texas Senate approved 21-10 a bill early Monday morning that would inject about $530 million into the public education system while creating a so-called school choice system that would redirect state money to help students pay for private school tuition. $150 million for about 150 school districts that will lose so-called Additional State Aid for Tax Reduction funding in September through a hardship grant program. The amount of grant money such school districts would receive would be based on their tax rate. More funding for school district construction and establish such funding for the first time for charter schools. Funding for schools to educate students with dyslexia. $20 million grant program for public schools to educate students with autism in third grade and lower. A state commission to study and make recommendations on how to improve the school finance system. Here's the thing: For as much as we would love to dismantle the socialized education industrial complex, that's...probably not feasible...in the short to medium term. Too many people have a romantic attachment to so-called "public schools." In our pluralistic society, a short-term compromise that moves the ball forward in terms of parental choice and simplified funding formulas would represent tangible progress for students and taxpayers. And, from that place of tangible progress, we can prepare our next ask. AUSTIN – Texas Public Policy Foundation’s (TPPF) Dr. Kevin Roberts, executive vice president of TPPF, and Stephanie Matthews, senior policy advisor with the Center for Education Freedom at TPPF, issued the following statements on the Texas Senate passage of House Bill 21, as amended, relating to establishment of an education savings accounts (ESAs) for children with special needs. "Parents of special needs students can be grateful for this important step to secure the best educational option for their children," said Roberts. "In spite of the heroic effort of public school teachers, sometimes a special needs child will flourish in a different school. Congratulations to the legislators who recognize this fact, giving parents an additional tool for helping their kids." 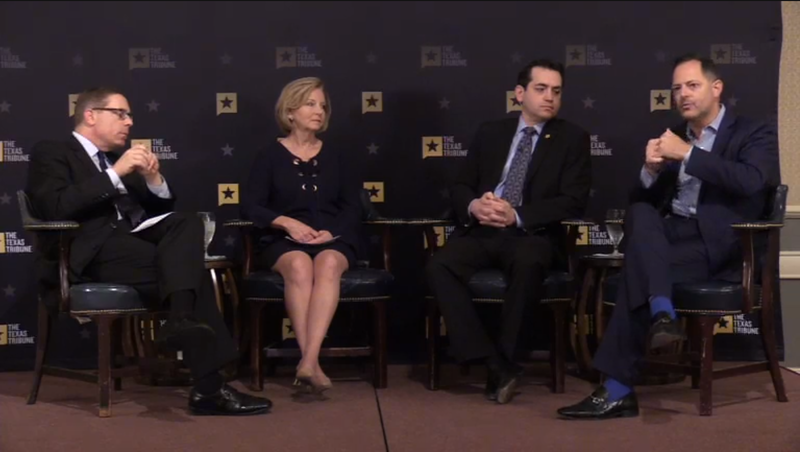 "Nothing is more important to the future of our state than education," said Matthews. "This bill opens doors to Texas students by providing more funding and empowering parents of the most vulnerable students with options. With this bill, parents of special needs students will have the ability to determine the best educational environment for their child." Finally, we would like to thank Chairman Taylor for addressing the concerns we raised during our committee testimony about the price-tag. 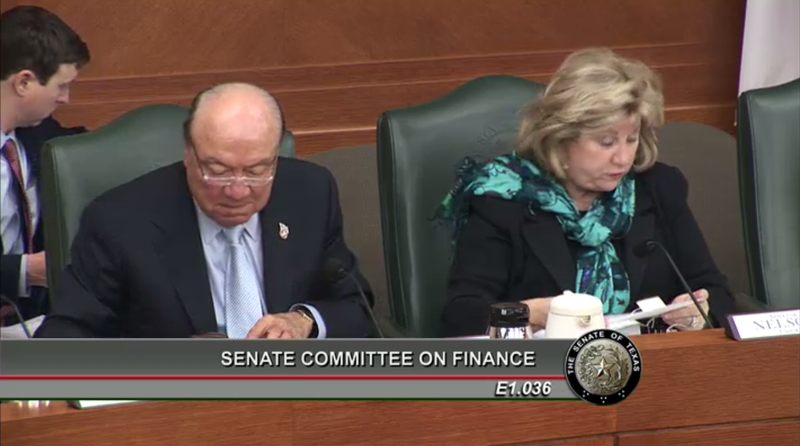 Chairman Taylor cut over $1 BILLION from the fiscal note between the committee hearing and last night's floor vote. This development can only help. Bottom Line: With major school finance changes unlikely to cross the finish line this session, Chairman Taylor's efforts represent a quality starting point for future efforts. Who put bitter for sweet, and sweet for bitter!" "As you know, I want to see the rate rollback part of property taxes achieved," Abbott told The Texas Tribune after a bill-signing event here at a church. 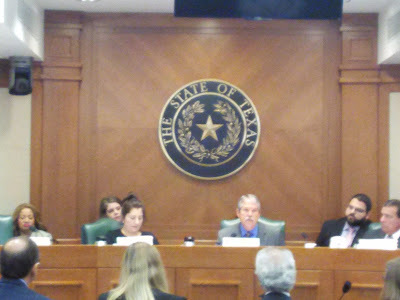 Texas House and Senate budget negotiators agreed on a state budget for 2018-19 late Saturday — deciding to tap the state’s rainy day fund, a key sticking point — but not before Gov. 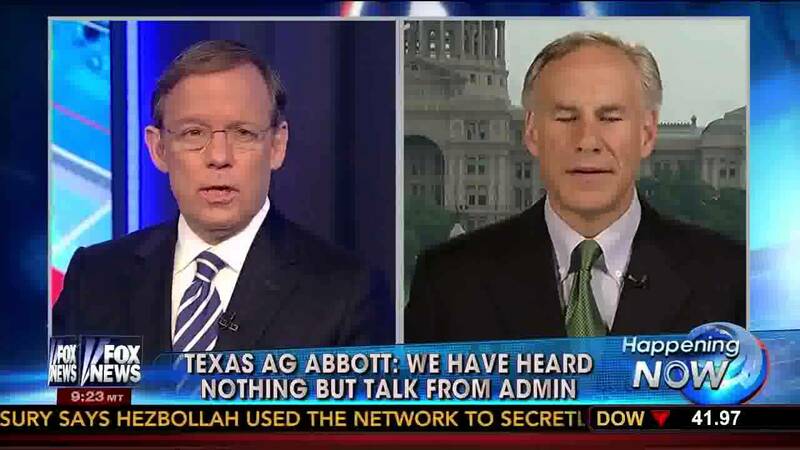 Greg Abbott demanded they add $100 million to programs that are controlled by his office. Daniel Hodge, Abbott’s chief of staff, said that the last-minute demands were not new. “What we asked for last night was what we had been asking for since January in new money,” he said Sunday. The committee added the money. Abbott’s demands were delivered by Hodge and Steve Albright, the governor’s budget director. 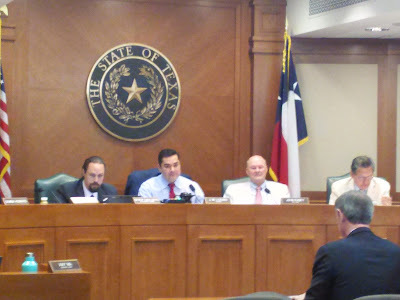 While they didn’t directly state that Abbott would veto the budget without more money for his office, “it was a clear indication to me that the governor would have a hard time signing off on a budget without that,” Zerwas said. The money would go primarily to the Texas Enterprise Fund — which provides subsidies for companies considering moving to or expanding in Texas — and to incentive programs meant to lure filmmakers to Texas and to support the music industry. Hodge said the governor’s office all along had made clear that Abbott was seeking a total of $110 million for economic incentive funds administered through his office — $60 million for the Texas Enterprise Fund, $40 million for the Governor’s University Research Initiative and $10 million for film and music incentives. The budget agreed to by the conference committee, before the governor’s office intervened, included only $10 million for the university program and no new money for the other incentives. After the House and the Senate ignored the pre-K program for most of the legislative session, the conference committee directed $293 million for it, although the money came out of funding already earmarked for schools, not new funding. Well, this one...kinda speaks for itself. Bottom Line: Woe unto politicians who prioritize special privileges for socialized education bureaucrats, leftist college professors, and Hollywood over tax relief for vulnerable Texas homeowners. Knowing that it will serve as a shield against property tax increases, SB 2 has been hailed by homeowners across the Lone Star State and has been many conservatives’ primary goal this legislative session. Though the bill passed by a party-line vote of 20-11 in the Texas Senate, the measure was stopped in the Texas House after Speaker Joe Straus removed it from consideration by sustaining Democrats’ point of order on the bill and preventing conservatives from moving to overrule it. Our two cents: The automatic rollback provisions are non-negotiable. As we explained in March, they are the absolute bare minimum to an acceptable session on the property tax issue. The whole point of property tax reform move taxing entities from a forgiveness based system to a permission based system. If the House is to consider SB 2 in the 85th General Session, the House Calendars Committee will have to set the bill for today for a vote no later than second reading on Tuesday. Bottom Line: We'll have to see what happens, but as things currently stand the property tax issue has NOT been satisfactorily resolved. #TXLEGE: How is the House doing (and how badly does leadership want to suffer)?!? "But may the God of all grace, who called us to His eternal glory by Christ Jesus, after you have suffered a while, perfect, establish, strengthen, and settle you. To Him be the glory and the dominion forever and ever. Amen." Morrison plugs the Uber bill. Note: We said our piece on that bill here. "We could either come out of session 1 or those 5 or 4 of those 5." Rinaldi (correctly) blames leadership for failure of priorities. Rinaldi on Dan Patrick: "You use the leverage you have." Morrison: "I'm very concerned" about Senate budget re: higher ed. Extended discussion of privacy act. Rinadli discussing Poncho's point of order on the property tax bill: "I find it suspect that the point of order was there." Morrison calls for more higher ed spending and opposes tuition freeze. Note: Nothing she said precludes the spending for tuition freeze swap btwn the House and Senate we keep hearing about. Anchia calls Senate school finance bill "poison pill." Anchia on sanctuary city bill law: "This did not have to pass." 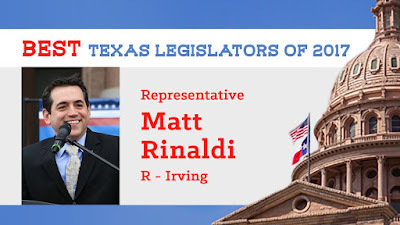 Note: We've always felt conservatives have been cheap dates on this issue, but what planet is Rafael Anchia living on if he thought the GOP could actually leave this session without a Sanctuary City bill?!? ANCHIA BRAGS ABOUT ALL THE MONEY THAT DUBYA POURED INTO SOCIALIZED EDUCATION. Note: As Governor, during the 90's. Rinadli de facto calls Texas Association of Business liars. ANCHIA PRAISES DUBYA A SECOND TIME. Note: Everything wrong with the Bush crime family can be seen in this point. Rinaldi calls BS on the race card. Rinaldi: "The House has been so badly mismanaged" by leadership this session that the GOP conference as a whole will insist on changes next session. Bottom Line: Delay = Special session. That's fine...as far as it goes. The supplemental bill falls within the parameters that were set before the session. Our early fears on the supplemental appear to have not materialized. But, moving forward, we are getting awfully sick of having to do a supplemental every two years. It's gimmicky nonsense (that has recently been very badly abused), and it only happens because legislators don't want to be criticized for being tight-fisted (which is going to happen anyway). It might be too late to avoid a supplemental in 2019, but next session it needs to be a priority to write a budget that won't require a supplemental in 2021. Bottom Line: We need to begin a serious conversation on "supplemental free budgeting" during the interim. 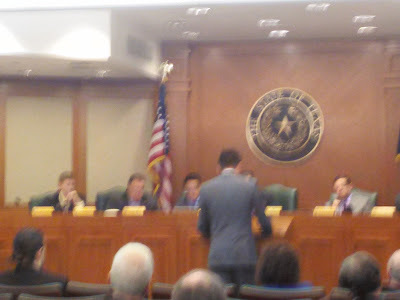 Following our unlikely kumbaya session with Greg Fenves this morning, less than an hour later we were in more familiar territory testifying on the opposite side of Chancellor McRaven on the subject of tuition increases. SB 19, the tuition freeze bill that the Senate heard in March and passed out in April, got a late session hearing in the House Higher Ed. committee this morning. We showed up to support the bill. But unfortunately, we doubt it moves forward. Chancellor McRaven continued in the disingenuous vein in which he testified in the Senate hearing. He claimed the UT system has been "conservative" with tuition increases. Of course, he overlooked the fact that most of the period under consideration occurred before his tenure and that one of the first things he did was push a tuition increase. Representative Donna Howard asked the Chancellor several leading questions about needing tuition hikes in the face of "insufficient state appropriations" and tried to claim the legislature was "forcing costs down" to the institutional level. Naturally, he agreed. Howard closed by noting she was "hopeful this legislation won't go anywhere," which is a noteworthy statement coming from the vice chair of the calendars committee. That being said, there's one rumor we've heard that's worth considering: It might be the case that Lt. Governor Patrick has asked for SB 19 in exchange for giving the House the higher ed funding it's asked for in the budget. During an appearance before the committee on an unrelated bill, Appropriations chair John Zerwas teased that he thought a deal on higher ed funding was likely...which is interesting considering that the committee heard Patrick's priority tuition bills immediately afterwards. If that deal indeed exists, it's one we'll take. We testified that public universities love to build expensive buildings and hire expensive bureaucrats; refusing to permit them to pass these costs onto students is the first step to forcing them to set priorities in their budgets. We also refuted Chancellor McRaven's selective reporting on the history of university tuition by pointing out that most of the time period under consideration was during a different era in Board of Regents history. Finally, we cautioned the committee that if the tuition freeze died this session, the outrage over this issue would only grow between now and 2019. We apologize for the blurry picture, but that's actually a good metaphor for the revival of this bill. It's not often we testify in a committee hearing on the same side of an issue as Greg Fenves and the Texas Exes, but such is the nature of an obscure land dispute in West Austin in which the legislature has inexplicably chosen to involve itself. We had thought this one was dead. But late yesterday afternoon, the House Land and Resource management committee announced a hearing on short notice. We outlined the reasons for our opposition to SB 822 when it was heard in the Senate back in March. The short version is that UT is sitting on an extraordinarily valuable tract of land in West Austin, which UT has occasionally considered selling to residential/mixed use developers. In a city with a chronic housing shortage, keeping this option on the table seems prudent; unfortunately, that prudence exists alongside some dirty local Austin politics. As to our personal testimony: we gave the same schpiel we give any time the "Save MUNY" issue comes up. In a city with a chronic housing shortage, it strikes us as absurd to place artificial restrictions on prime real estate that presently hosts a golf course. If UT wants to sell this particular tract of land to developers...that would be a good thing! Rep. Ernest Bailes attempted to obfuscate by asking a straw-man question about whether we would apply the same logic to Central Park in New York City. While Bailes question was a curveball we didn't expect, we replied that midtown Manhattan doesn't have the 6000-square foot lot size requirements that Central Austin has, and that his question was irrelevant as long as that distinction applies. That being said, having had a few hours to digest Rep. Bailes question, if we were offered the deal of leaving the Muny tract alone in exchange for upzoning the surrounding neighborhood...we would take it. Making matters worse: Lyle Larson (who's carrying the bill in the House), used his closing argument as an opportunity to throw Wallace Hall under the bus. Rather than addressing the issues, Larson reminded the committee of his role in the Wallace Hall impeachment and reminded the room "I have been sued by a UT regent." If there weren't already enough reasons to shoot this bill down on the merits, hearing the bill sponsor cite his role in that disgraceful fiasco makes us oppose it all the more. Note: During the Senate hearing, we criticized the Texas Exes for their lack of attention to this issue; giving credit where it's due, they had a significant presence at today's hearing. First things first, if you're negotiating in good faith, why would you say "both chambers have worked diligently" on the Governor's emergency items?!? Everyone already knows the House slow-walked them all. And they're still playing games on Ethics reform. Furthermore, if you're negotiating in good faith, why would you highlight the House's actions on the property tax bill when they just gutted it?!? Technically, Straus is correct that SB 1 and SB 310 are the only things the legislature needs to pass this session to assure continuity of government; but there's a big difference between continuity of government and a satisfactory end to the legislative session. Note: The bill as it was passed out of the Senate is the bare minimum of what's acceptable. SB 13 - Ending Mandatory Government Collection of Union Dues. SB 19 - Public University Tuition Freeze. SB 20 - Ending Abortion Subsidies in the Health Insurance Market. SB 415 - Ending Dismemberment Abortion. Note: We've heard talk this could be amended onto another bill; that's potentially a face saving way to move it forward. SB 451 - Abolishing Municipal Regulations on Short Term Rentals. SB 1151 - Protecting Free Speech on Public University Campuses. As stated above, this is not an exhaustive list of bills we support (or bills the legislature should have passed), but if these bills pass (in their current form; note: Except SB 2, which needs to be fixed on the floor) we can accept the results from this legislative session. In the event of a special session, we intend to make BIG asks on: Guns, Life, Taxes, and Municipal pre-emption. Bottom Line: We suggest House leadership move forward with the bills listed above; they might not be crazy about the things for which we are currently asking, but we can assure them that they're going to HATE what we ask for in a potential special session. 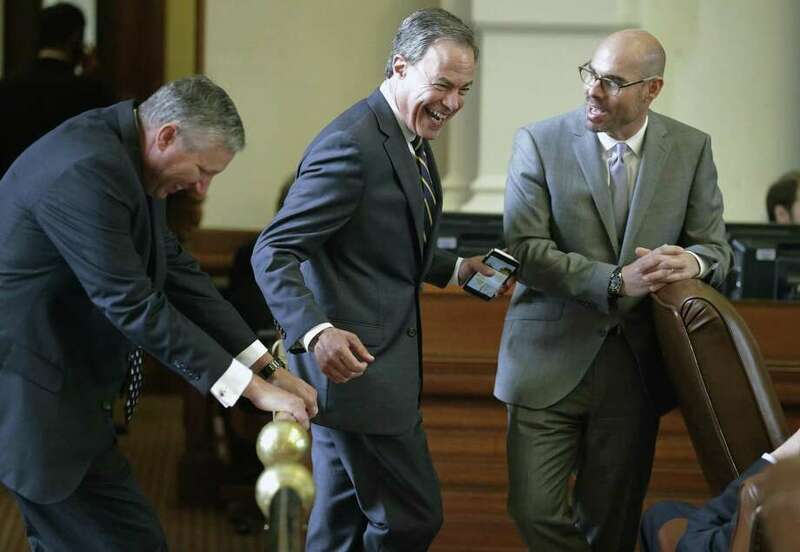 Cities and counties that balk at an effort to more tightly regulate their property tax collections will find that state officials will “shove it down their throat” in a special session, House Ways and Means Committee Chairman Dennis Bonnen said Monday. His comments came as the regular legislative session races to its May 29 conclusion with a number of leaders’ top priorities in limbo — including Senate Bill 2, the property tax measure. “The cities and counties refuse to accept any version of Senate Bill 2, so I look forward to working with the governor and the lieutenant governor to shove it down their throat in a special session,” Bonnen, R-Angleton, told the San Antonio Express-News. None of this would have been necessary if Bonnen hadn't slow walked the bill all session. That being said, addressing this issue in a special wouldn't be the worst thing in the world. As we said back in March, SB 2 (as originally filed) is "a good start." But it's only a start, and a special session would be an opportunity to push the envelope significantly farther than would otherwise be possible. Bottom Line: We'll see what happens on the issue, but no amount of over the top rhetoric from Dennis Bonnen late in the legislative session will change the fact that we should have been having this conversation a month ago. #TXLEGE: HB 17, adding university bureaucracy...to streamline university bureaucracy?!? Relating to the establishment of the Texas Higher Education Innovation Accelerator for public institutions of higher education. We signed in against this hot mess of a bill when it was originally considered in the House. We were disappointed (but not surprised) when it passed the house in early May. 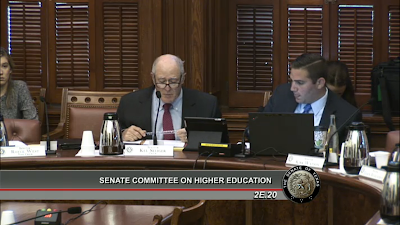 Today it got a hearing in the Senate Higher Ed committee...and that makes us nervous. institution's governing board as provided by this section. will advance state and institutional educational goals. plan but from which the institution is not seeking an exemption. or certificate or degree programs. innovation plans that comply with this section. We testified and told the committee that we thought this bill would accomplish nothing but adding more bureaucracy, and in that spirit we think the section of the bill quoted above speaks for itself. But the chairman of the committee is carrying this bill, which means it has a real chance of passing. Bottom Line: If the Senate kills this bill, they would be doing the state of Texas a favor.